The MPA (Mental Patients Association) was founded in 1971 as a grassroots response to deinstitutionalization and to a crisis in community mental health. Led by former patients and allies, the group initiated many successful social, housing, and employment projects, and in the process challenged the power of psychiatry. MPA left behind its radical roots to become an important service provider, however the story of its early years endures. 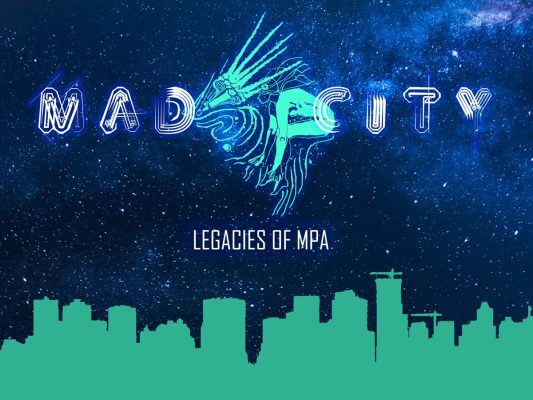 MAD CITY recreates MPA’s legendary Drop-In, circa 1976, a place of creativity, support, and political action. The exhibition welcomes visitors to sit down on a comfortable couch, read a copy of MPA’s tabloid newspaper – In a Nutshell –grab a coffee and play some scrabble. Consider how community was mobilized through participatory democracy, peer support, and a passion for social change. Visitors can explore the multi-media display of MPA’s contributions to mental health in Vancouver and listen to former members reflect on how the early MPA empowered them and changed the mental health landscape. The exhibit will also showcase 30 black and white portraits of early MPA members though photographs curated by the late Geoff McMurchy an MPA Founder. Thinking back but looking forward, this exhibition forges a new vision for community mental health in our MAD CITY today. This event is taking place on occupied Coast Salish territories of the sḵwx̱ wú7mesh (Squamish), sel̓ íl̓ witulh (Tsleil-Waututh), and xʷməθkʷəy̓ əm (Musqueam) nations. THANK YOU TO OUR FUNDERS AND SPONSORSSocial Science and Humanities Research Council (SSHRC), York University, Simon Fraser University, Robarts Centre for Canadian Studies (York University), Slegg Building Materials, JJ Bean Coffee Roasters, Staples Canada, the Hornby Island Recycling Depot, and Godfrey Painting. • Free for all. Everyone welcome.